C & S Acosta was established in 1985 and has since been a leading importer of fine decorative home accessories and furnishings for the home. 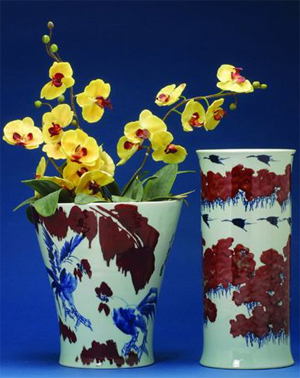 We are probably best known for our beautiful selection of blue and white hand-painted porcelain and antique reproductions of bronze sculptures imported from Thailand. However, over the years, our collection has expanded to include accent furniture, wooden handicrafts and magnificent mirrors that are made in other regions and exotic islands of South East Asia.